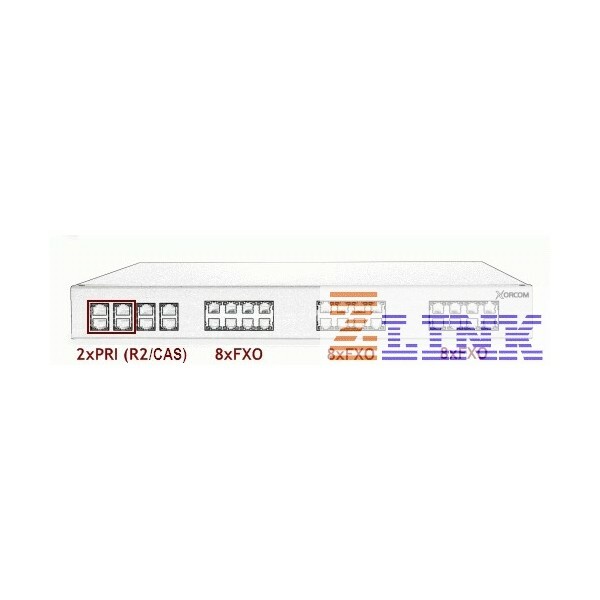 The Xorcom Astribank Dual PRI/R2 24 FXO is a PSTN channel bank and VoIP telephony system that was especially designed for the Asterisk open source IP-PBX. Astribank is a PSTN channel bank and VoIP telephony system that was especially designed for the Asterisk open source IP-PBX. Astribank uses industry-standard USB 2.0 ports to communicate with the Asterisk server. A single Astribank supports up to 32 analog ports, or up to 144 analog and PRI channels. The Astribank driver has been an official part of Zaptel (a.k.a. DAHDI) since release 1.2.4 in February 2006, making Astribank compatible with any standard Asterisk system.